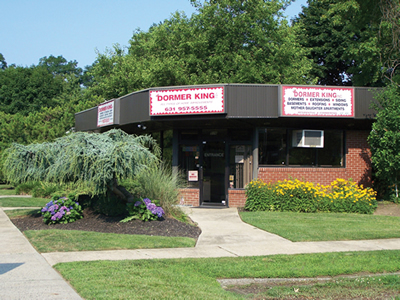 Dormer King’s main business is dormers, home extensions, and home additions, but we also specialize in kitchen remodeling, bathroom remodeling, siding, roofing, and alterations. Our results on these various projects speak for themselves and we have become trusted contractors for many Long Islanders. Dormer King Constructions is a full-service contractor with an in-house design department and an in-house clean-up department, so you can be assured we will design the house of your dreams and keep it looking nice every step of the way. If you are interested in our services, please contact us today. You can give us a call by dialing 631-957-5555 to learn all you need to know about our home improvement services. We look forward to helping you turn your house into a home!